One of only two flats converted within this attractive Victorian house, this light and spacious upper maisonette is quietly located within this pleasant family street, just off the popular Askew Road. The maisonette has been modernised and has a particularly nice reception room with bay across the front of the first floor and a well equipped kitchen at the back overlooking gardens. The property is available mid September 2017 and situated in the middle of Starfield Road and is located predominantly amongst family houses. Local shops and restaurants are minutes away, as are both Wendell and Ravenscourt Parks.The area offers numerous good schools and of course the shopping and transports hubs of Hammersmith Broadway and Westfield. 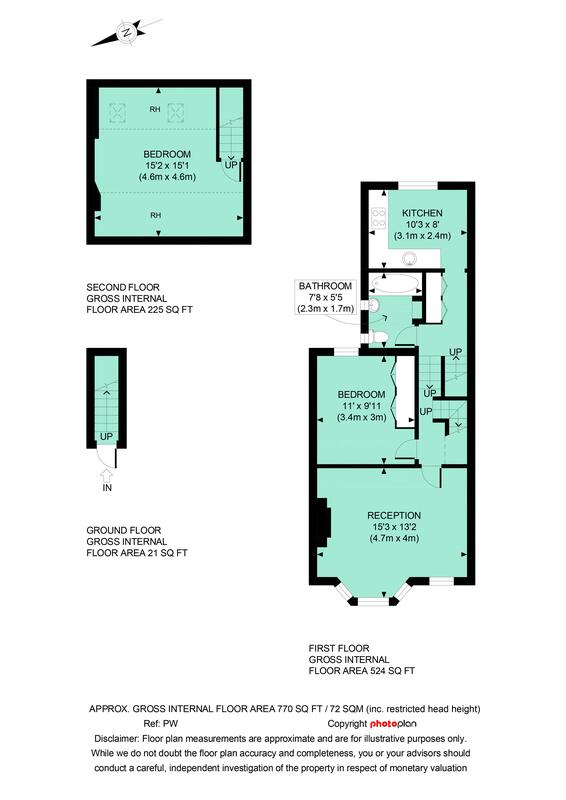 770 sq ft / 72 sq m approx.